Established in 1847 in Berlin, Germany by Werner von Siemens, today SIEMENS is a world leading manufacturer of electronics, industrial automation, medical appliances and high-tech devices. SIEMENS is one of the biggest and most innovative glabal companies that develops a wide range of products such as proximity sensors, limit switches, frequency inverters, industrial communication and control systems, manufacturing execution systems (MES), process control devises and facilities and many others. Through all the years of its existence, the company has been a pioneer and continues to be abreast with the latest technologies. For Siemens and its subsidiaries are working more than 340,000 employees worldwide while the company has operations in 190 countries as well as approximately 285 industrial and manufacturing facilities. SIEMENS - more than 135 years of technological excellence, innovation, quality and reliability. VIKIWA Ltd is a wholesaler and retailer and offers a wide variety of high quality inductive sensors and limit switches from SIEMENS series for industrial and home automation. In our online and offline stores you can also find various types of motor protection circuit breakers, variable capacitance diodes, universal electromechanical relays, power supplies, single optical fibers with 2 connectors, MCBs, analogue time relays, timers,contactors electrolytic capacitors, relay coils and many other products with attractive prices and fast delivery. Contactor 10A / 500VAC, 110VAC=Ub 4 NO, 3TB4010-0A 3-pole contactor 3TB4010-0A, rated coil voltage 110/120 VAC, contact system current 10 A. List Price: 16.90лв. VAT Incl. 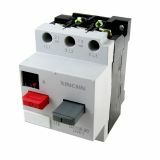 Contactor 02-2B SIEMENS, 4P, 10A, 24 VDC, 2.2kW, 4kW 3TG22 2-pole contactor 3TJ22-02-2B with coil 24 VDC and contact system current 10 A. A standard NC contact and one NO contact delay the shutdown. Phase-control thyristor BStL35 90, 1350 V, 150 A Siemens Thyristor BStL35 90 with repetitive peak off-state voltage 1350 V and on-state current 150 A. List Price: 42.00лв. VAT Incl. Thyristor MTT25/06N, 600 V, 25 A Thyristor MTT25/06N with peak off-state voltage 600 V and on-state current 25 A.
Electrolytic capacitor 2.2uF, 350V, THT, Ф9x18mm Electrolytic capacitor with an operating voltage of 350 V, 2.2 uF nominal capacity and operating temperature 85 °C. Limit switch, 3SE3 303-1B, DPST-NO+NC, 10A/660VAC, pusher Limit switch, 3SE3 303-1B, DPST - NO + NC, 10 A / 660 VAC, pusher. Proximity Switch 3SG3203-0AR41, 90-250VAC, NO, 51x27x12mm range 2.5mm, non-shielded Inductive sensor 3SG3203-0AR41 90-250VAC NO 51x27x12mm range 2.5mm, non-shielded. List Price: 30.00лв. VAT Incl.